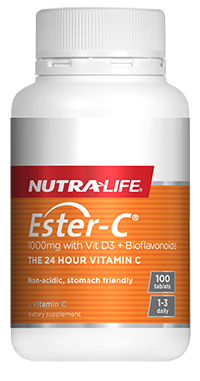 Restore beneficial bacteria in the gut, including bacteria discruption following antibiotic use. 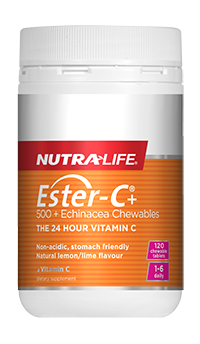 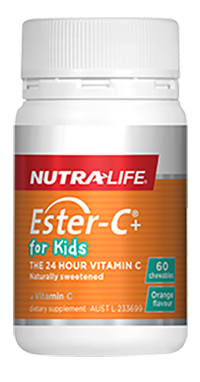 Ester-C® is a researched form of Vitamin C that supports natural immunity. 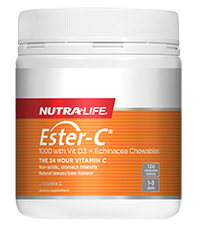 Ester-C® may lead to a more sustained retention of Vitamin C in the white blood cells than ascorbic acid*. 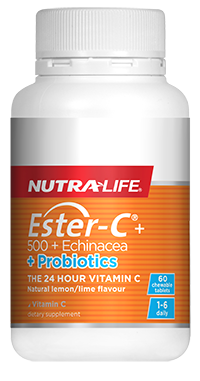 It is combined with Bacillus coagulans probiotic to support immunity and digestive health.